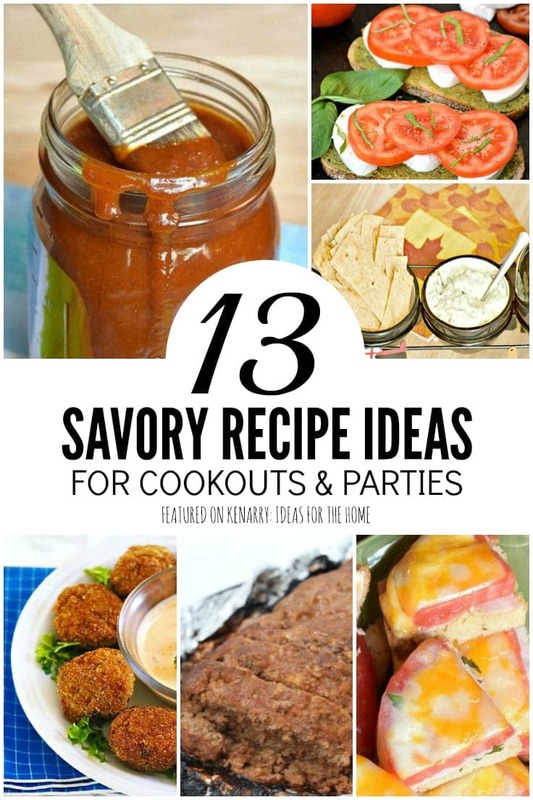 Try one of these fail-proof cookout recipe ideas for your next BBQ or party. All of them are crowd-pleasers and super easy! What makes a recipe perfect for a cookout? It has to be easy, feed a crowd, and be something most people will love. 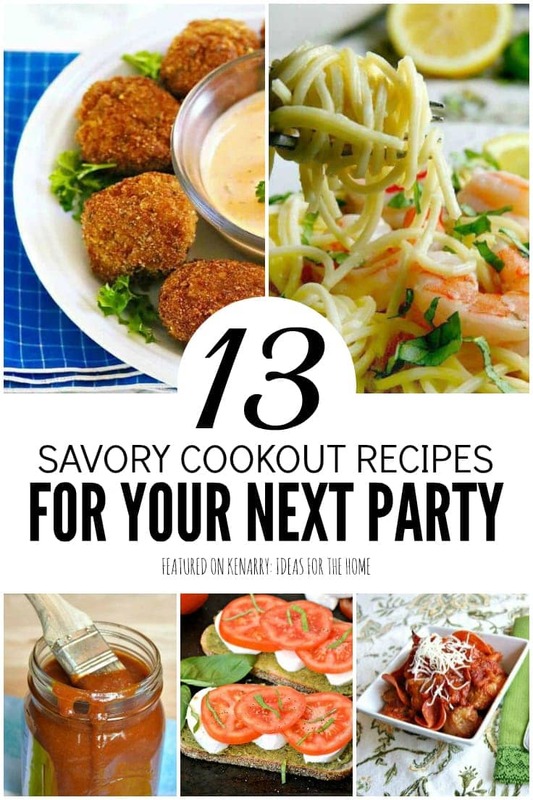 Well I found 13 of my favorite cookout recipe ideas for you and all of them are cookout-ready! Try one – or all – of them for your next party. 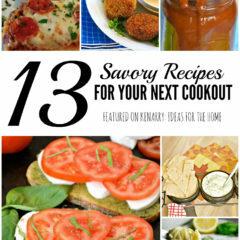 Each of these recipes is shared with the blogger’s permission. Go to their post for the complete recipe and instructions. The first cookout recipe idea is a homemade BBQ sauce. It is great on any type of meat. 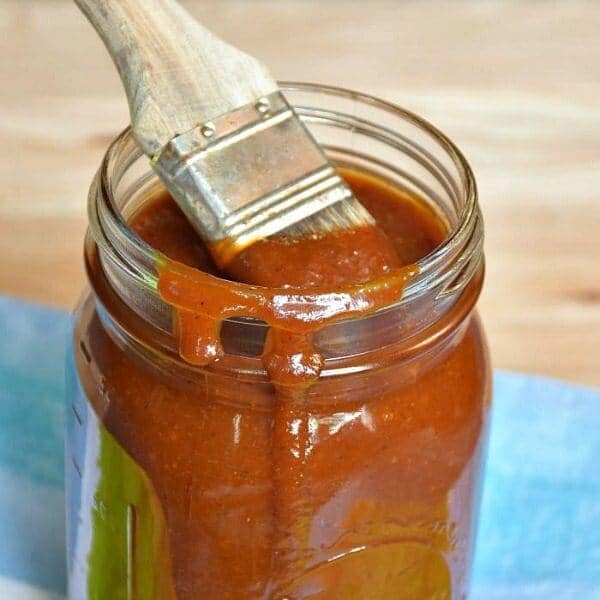 You’ll love this easy recipe for sweet and smoky barbecue sauce. It’s the perfect homemade sauce for dipping, barbecuing and more! The next cookout recipe is actually a soup. It is super easy because the ingredients are so versatile. 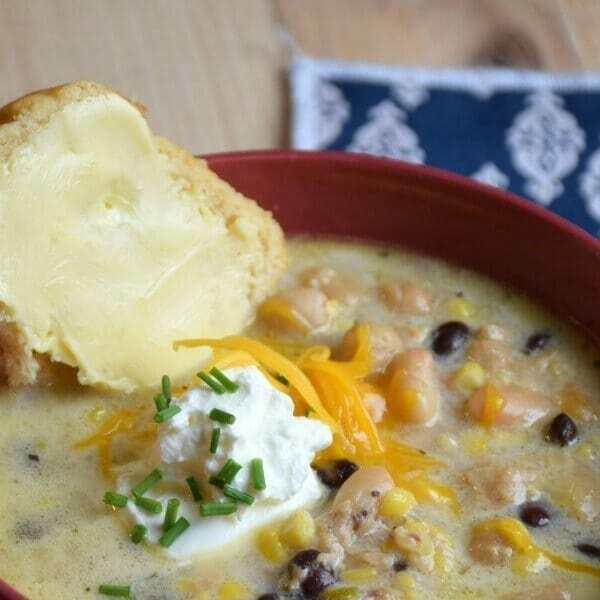 It is a chicken chili that stands out from all the rest and is full of healthy ingredients and amazing flavor! 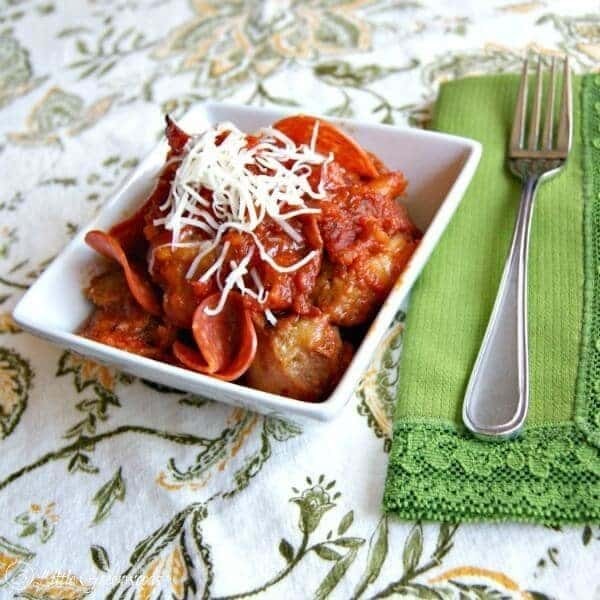 For more super easy weeknight dinners be sure to check out these other Easy Dinner Ideas! Every single cookout needs baked beans. It’s like required to be on the menu. 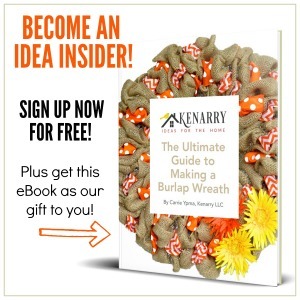 Take baked beans to the next level! More than a side dish, these baked beans with their meat and bacon components make this dish one the entire family will love! Add a salad and cornbread for the complete meal! 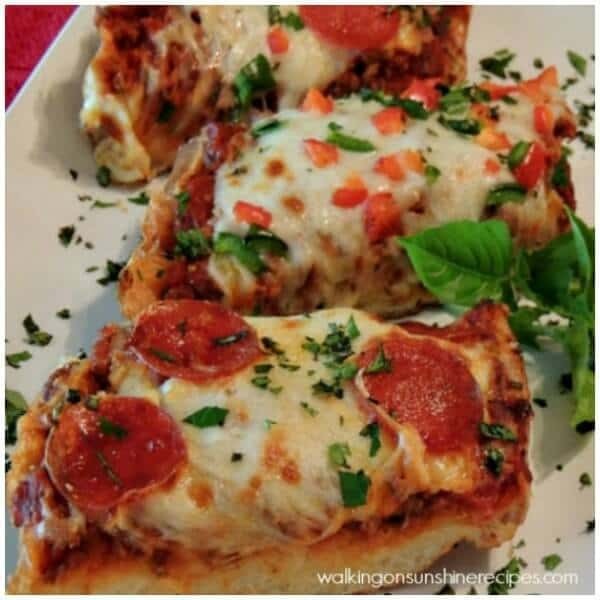 An awesome slow cooker recipe for Meatball Pizza Bake that’s perfect for football snacks! Who can resist Italian meatballs, pepperoni, and tangy sauce topped with gobs of gooey cheese? Your family will love it! 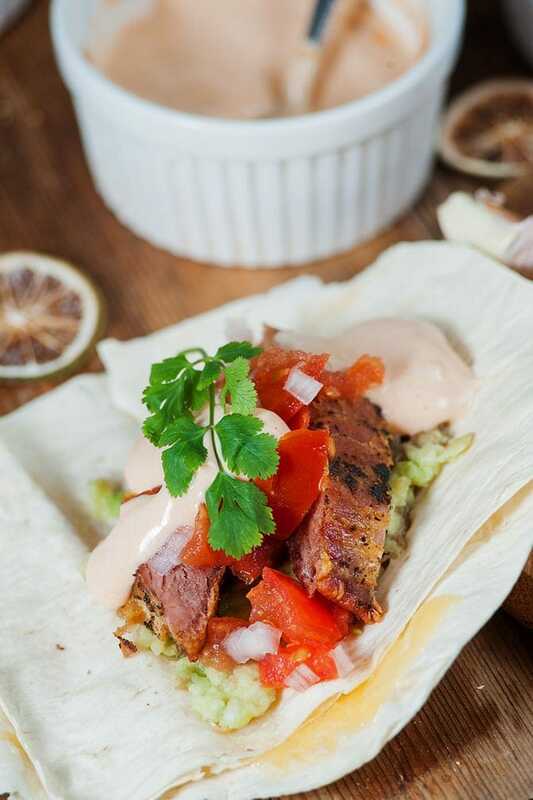 These “vampire” tacos are delicious, and a grilled steak recipe you’ll come back to time and time again. Furthermore, pair these tacos with homemade sriracha sauce and guacamole — and the whole thing combines together to make a taste sensation. 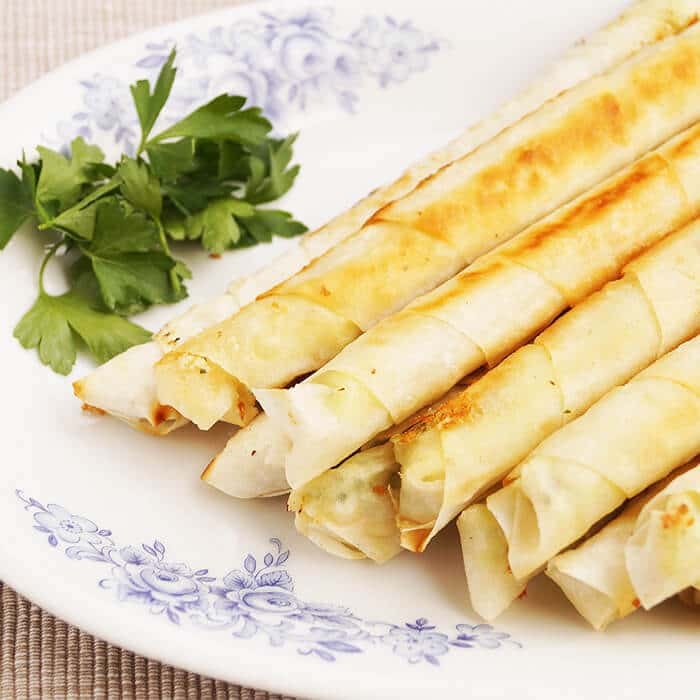 Sigara böreği is a Turkish starter or snack with white cheese and puff pastry which is very popular in Germany. You can buy them at every street corner. This is a really fun and different cookout recipe idea that will become one of your most-requested. 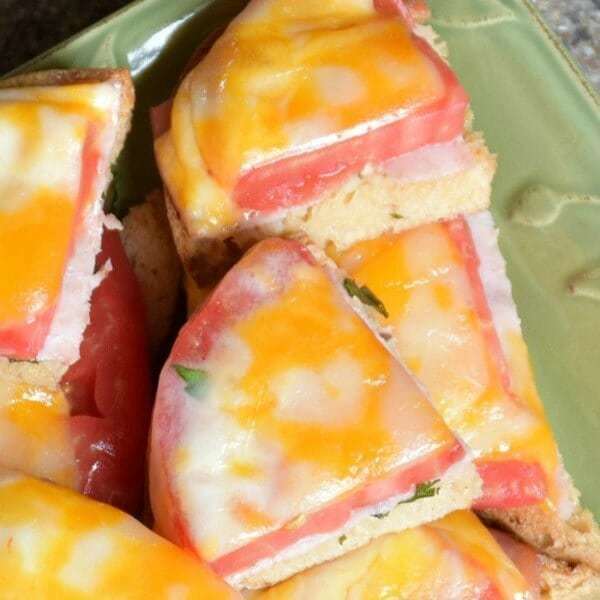 These simple summer tomato sandwiches must be made with fresh tomatoes. They just must. For this reason, they are perfect for summer parties. Elevate your next pizza party with French bread pizza. Add a tossed salad on the side and dinner is on the table FAST with this easy recipe! Looking for a fast and easy dinner that the whole family will love? 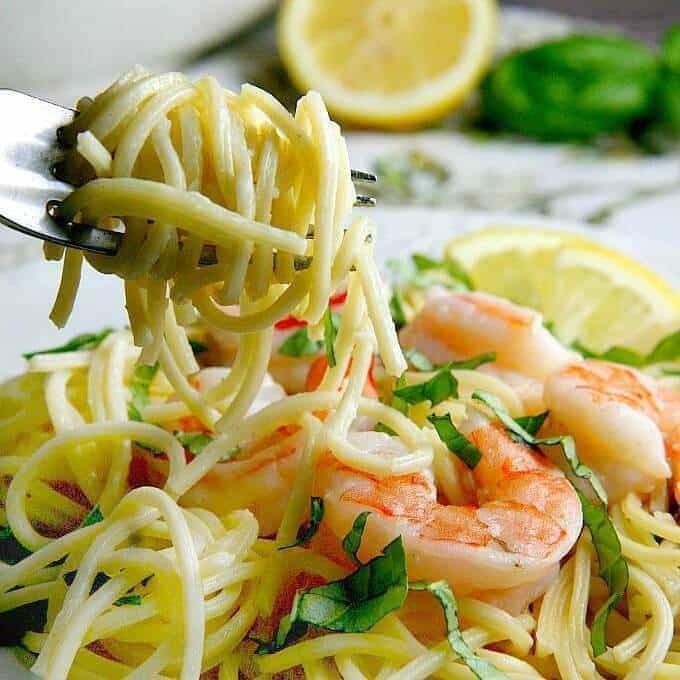 You can have this One Pot Lemon Shrimp Pasta on the dinner table in 15 minutes! With tangy citrus, fresh shrimp, and basil, this delightful pasta is sure to be a new family favorite. 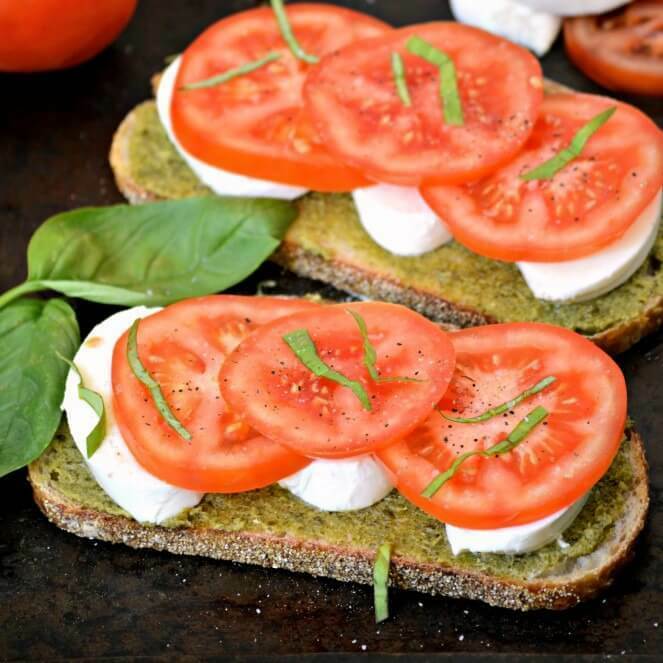 This fast and easy Caprese Sandwich is the perfect way to satisfy your cravings while keeping yourself eating healthier. A twist on the usual Caprese Salad in handheld form. 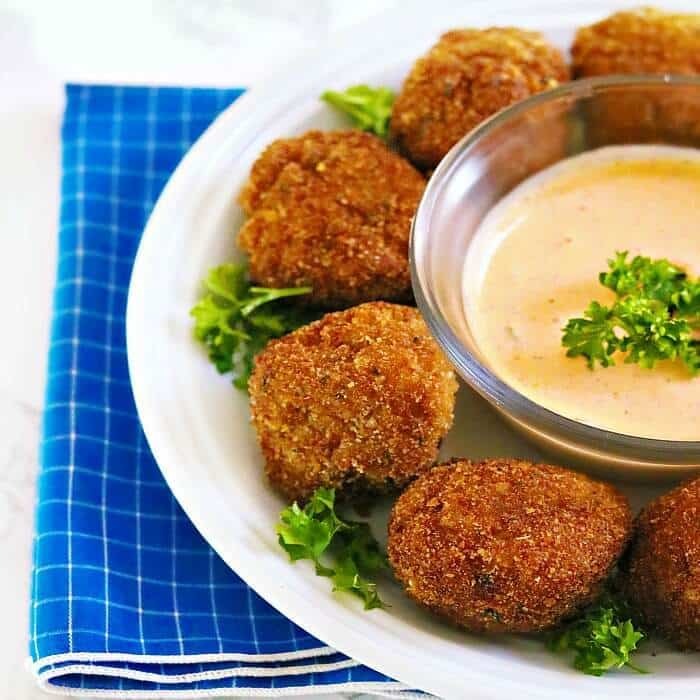 An easy way to enjoy a crab cake rolled into a bite size appetizer. These little bites are crunchy, moist and packed full of seafood. Great for a party or just because! 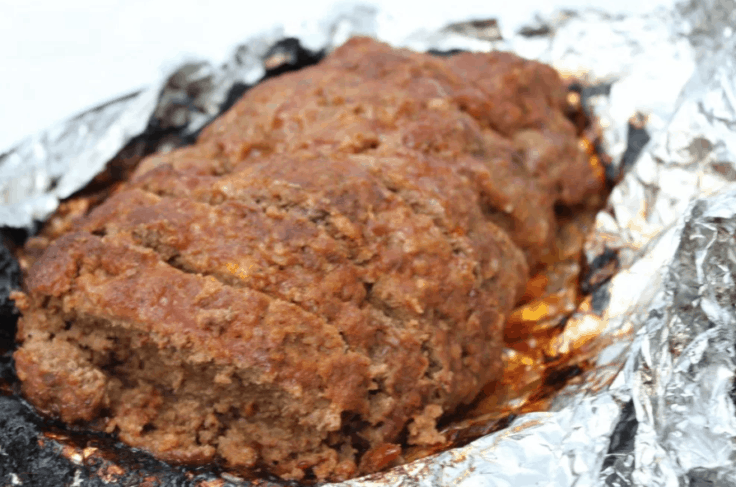 Have you ever grilled meatloaf before? It’s easier than you think. Learn how to make the perfect meatloaf on the grill with this easy recipe and step by step pictures.